I found this recipe here. If I were to make this again I would use less peppermint extract and not crush up the candy canes as much. 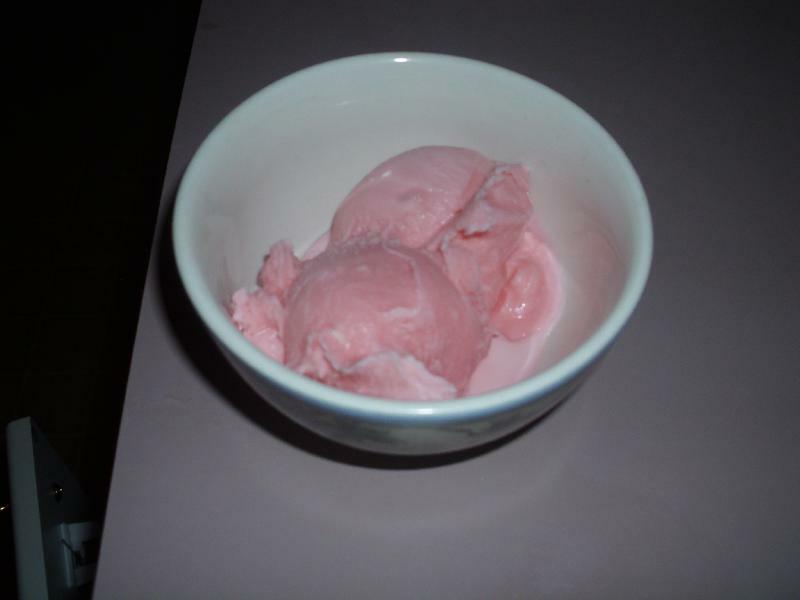 This was an easy ice cream recipe to make as you did not need to cook anything. Whisk the cream, milk, sugar, peppermint extract, food coloring, and peppermint candy together in a large bowl until the sugar is completely dissolved. Pour into the frozen bowl of an ice cream maker, and freeze according to the directions of your ice cream maker. It usually takes about 20 minutes. The ice cream will be soft. Description: A fun and sweet treat. Perfect for the holidays!